What is RoadPacker Soil Stabiliser? 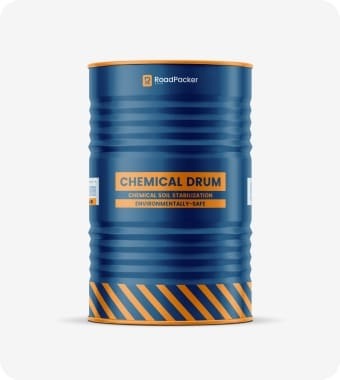 RoadPacker uses chemicals to modify the properties of soil to make it more dense, increasing binding of the soil particles which improves the soil’s ability to bear load without deformation. Just 1 litre of RoadPacker Plus is needed to treat 33.3 square metres (150mm base depth) of road. Our drums of eco-friendly soil stabilisation chemicals can be delivered directly to you. 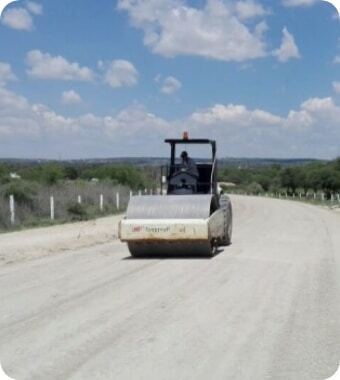 RoadPacker has been used all over the World to produce low cost, low maintenance and long lasting roads. We have a range of chemical products that will stabilise ALL clay based soils. Our proprietary formulae has been used successfully on many projects since 1989, and we continue to invest in R&D to produce new and enhanced products. 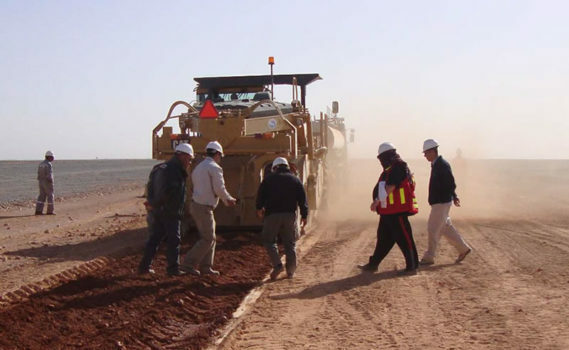 We work closely with Government departments, Federal, Provincial and City, World Wide to offer an alternative to the traditional road construction industry. 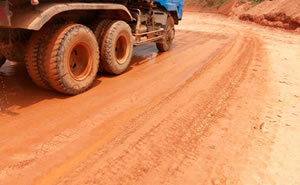 RoadPacker soil stabilisation projects can be undertaken by local labour under supevision of a RoadPacker specialist. This makes it a great option for third world countries. Our range of products has been used on hundreds of projects across the World to produce low cost, low maintenance and long lasting roads. Our range of products have been used on hundreds of projects across the World to produce low cost, low maintenance and long lasting roads. 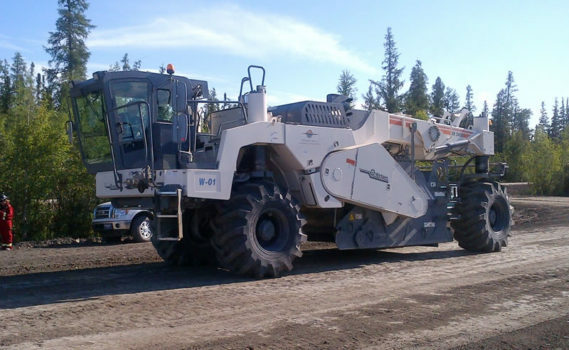 RoadPacker Soil Stabilisation occurs through a variety of mechanisms including increased compaction, density and bearing strength, binding soil particles, reducing the soil’s susceptibility to changes from changing moisture content, reducing the amount of water entering the soil and waterproofing the soil. Ionic soil stabilisation offers a low cost alternative to traditional construction methods, and has the advantage of being able to utilise the in situ soil. We have a range of chemical products that will stabilise ALL clay based soils. 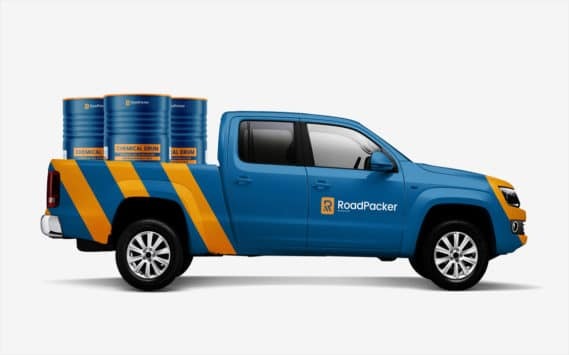 RoadPacker Plus™ when applied correctly to a dirt or gravel road, near eliminates costly maintenance, whilst improving pavement life and durability. 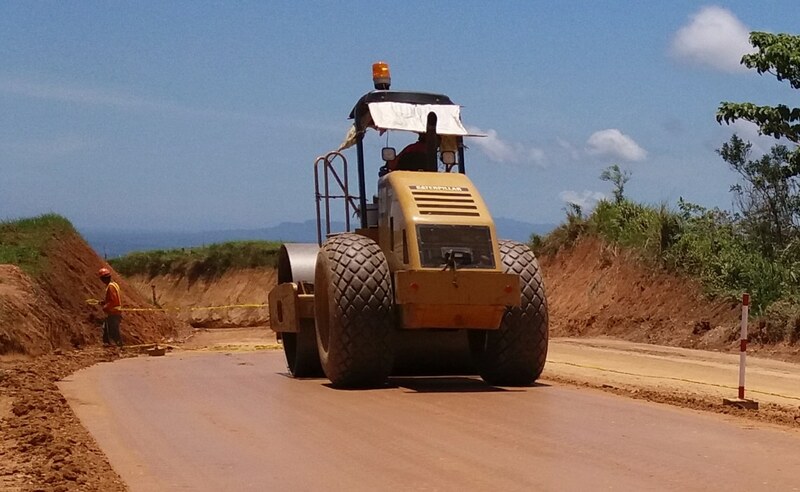 Its use as a surface stabiliser is ideal for rural communities and back-roads whilst its use as a sub-grade stabiliser ensures huge cost savings in paved road construction. 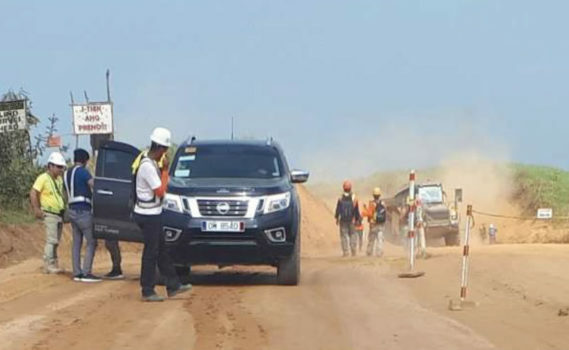 Projections show that millions of dollars would be saved annually in terms of reduced maintenance costs not only from a reconstruction point of view, but also from a reduced need for routine grading and watering of gravelled roads. 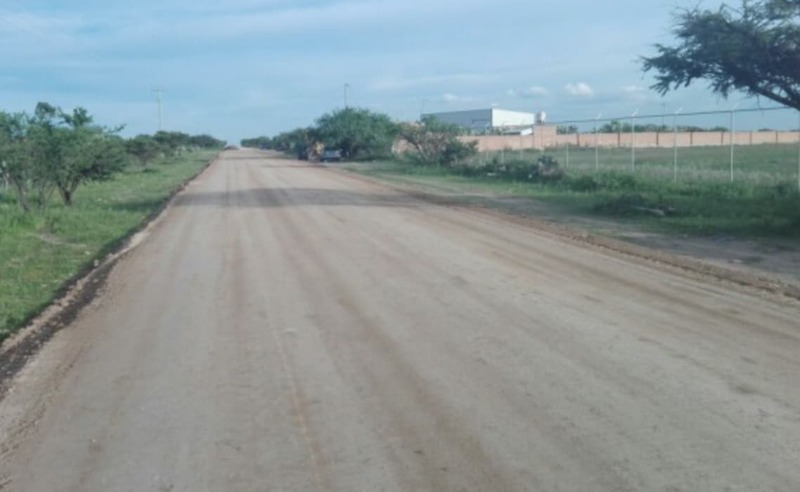 Certain tests carried out over a twelve month period have revealed that the chemically stabilised sections did not require any routine grading, whereas identical but untreated sections of the same roads, required grading at least once or twice per month. RoadPacker products are environmentally safe and effective irrespective of soil type. Our products are based on natural binding agents that are non-toxic and as a prime example of our eco-friendly ethos, the base ingredient we use, calcium lignosulphonate, is typically used as binder in many animal foods. 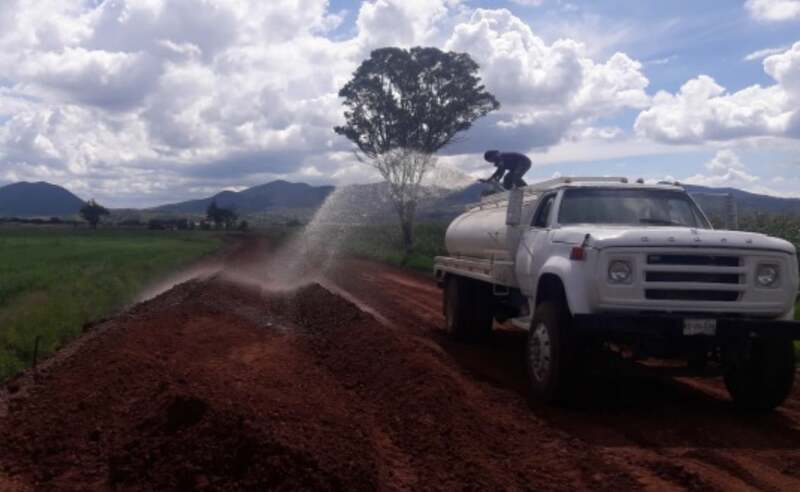 Whether you are looking to build something as major as an air-strip or a freeway or just a minor access road on a farm, RoadPacker soil stabilisation products can help you. Our products have also been successfully deployed on playing fields, paddocks, stock-yards, race-tracks and golf course projects. RoadPacker is your road in a drum and we are with you every step of the way from initial soil samples through to ongoing consultancy. We take the samples and work out which product is best for you. Depending on your soil type we will choose RoadPacker Plus, RoadPacker Premium or RoadBond for your project. 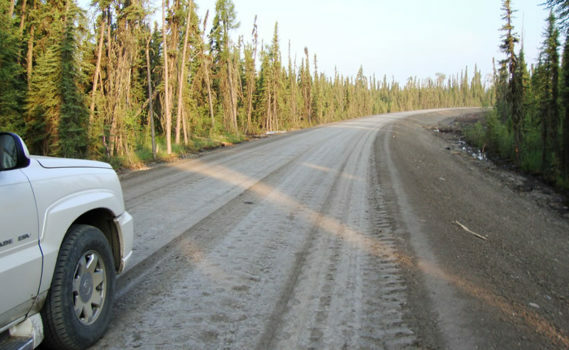 RoadPacker Plus™ when applied correctly to a dirt or gravel road, near eliminates costly maintenance, whilst improving pavement life and durability. 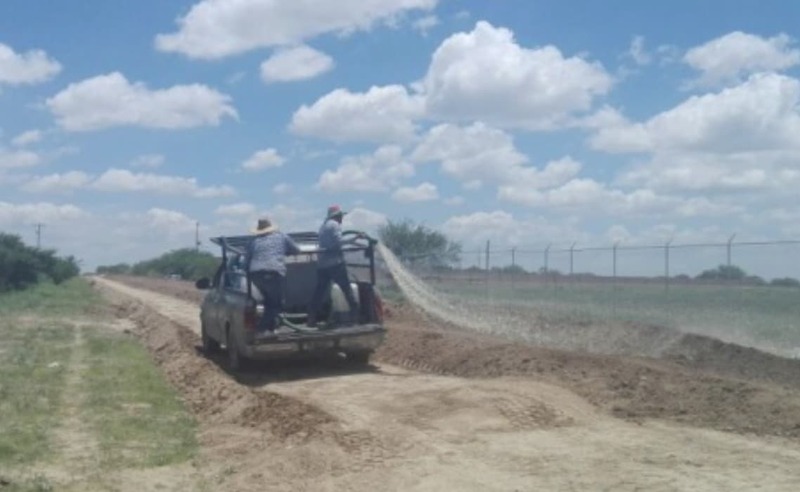 Its use as a surface stabiliser is ideal for rural communities and back roads whilst its use as a sub-grade stabiliser proportions huge cost savings in paved road construction. When applied correctly to a dirt or gravel road, RoadPacker Plus™ near eliminates costly maintenance, whilst improving pavement life and durability. The effect is permanent and requires little or no ongoing attention. Any potholes or other irregularities that may occur later are easily repaired by the scarification of the problem areas and the reapplication of a small amount of the chemical to stabilise the imported soil. 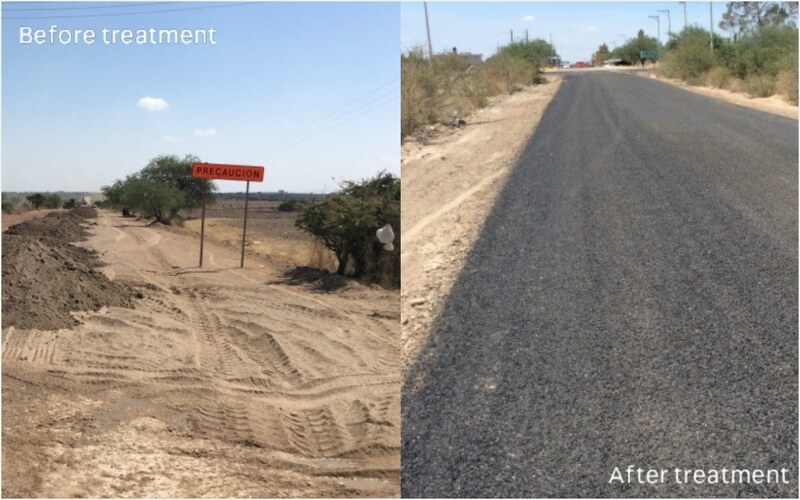 The repaired area quickly adheres to the previously treated road and becomes indistinguishable, leaving again a smooth running surface. Interested in using our products on your next infrastructure project? Here is a list of frequently asked questions that may be of use. If you can’t find an answer to your questions please get in touch. 1. Does the density decrease with the years? No, on the contrary, the density of treated soil will increase progressively. 2. What is the permanent load bearing capacity of roads treated with RoadPacker Plus? The finally formed road structure is virtually indestructible, even under adverse conditions. The load bearing capacity increases over time with ongoing compaction and is not finite. 3. 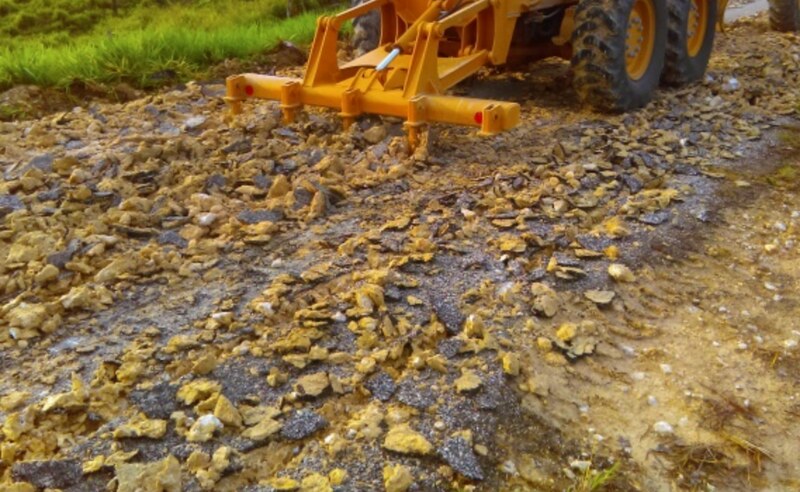 What is the behaviour of fine or course grained stone material located in soils treated with RoadPacker Plus? Even stone material with a granulation up to 75mm gives a favourable result. It increases the density of soil. 4. What kind of soil is the most appropriate for treatment with RoadPacker Plus? Most soil types are appropriate, the only exceptions being pure sandy and sterile soils containing no colloids, as well as all peat and marshy soils with humus only. The heavier the soil, the easier it can be compacted. 5. What is the behaviour of RoadPacker Plus in dense and very heavy clay soils? As pointed out above, the greater the content of clay in the soil the higher the colloid content which facilitates its compaction. 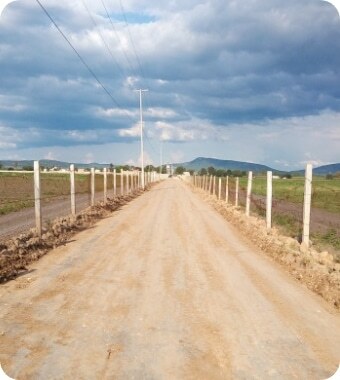 However, extremely heavy clay soils should receive special treatment. In this case the concentration of RoadPacker Plus solution to be applied, should be increased according to the manufacturer's recommendation, which will be based on the results of a soil test analysis. 6. Can sandy and sterile soils be treated with RoadPacker Plus? Yes. A trial section of mica sand combined with 50% Kaolin was most successfully treated with an early less effective formulation of an Ionic Soil Stabiliser in Australia. The clay was added as the sand on its own was too granular and would not give the required bearing ratio. 7. How does soil treated with RoadPacker Plus react to variations in temperature? Variations in temperature have no effect at all on RoadPacker Plus. Roads treated in Australia and overseas with an Ionizing Soil Stabiliser during extremely hot conditions, have shown no negative effects. 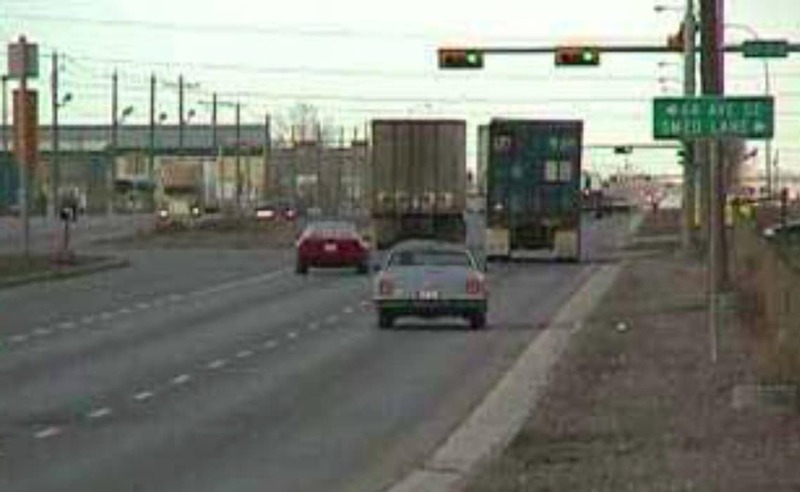 There are also many roads in Canada, which were treated in 1996/97/98/99/2000/2001 and have not been influenced by the freezing sub-zero climatic conditions. 8. Are roads treated with RoadPacker Plus resistant to oil, petrol, diesel etc? A. No negative influences have been observed. 9. Do the soils of treated roads present any danger in relation to ground water and the environment? None whatsoever, because RoadPacker Plus is Non Toxic when diluted in water and is completely environmentally safe & friendly. 10. How many years does a road last when treated with RoadPacker Plus? Roads treated with RoadPacker Plus cannot be de-compacted by rain, which is a major cause of road deterioration. Intensification of the road traffic is a great advantage with the number of frequenting vehicles. Of course, the resistance of a frequently traveled road with high traffic densities depends also upon the thickness of its durable surface. 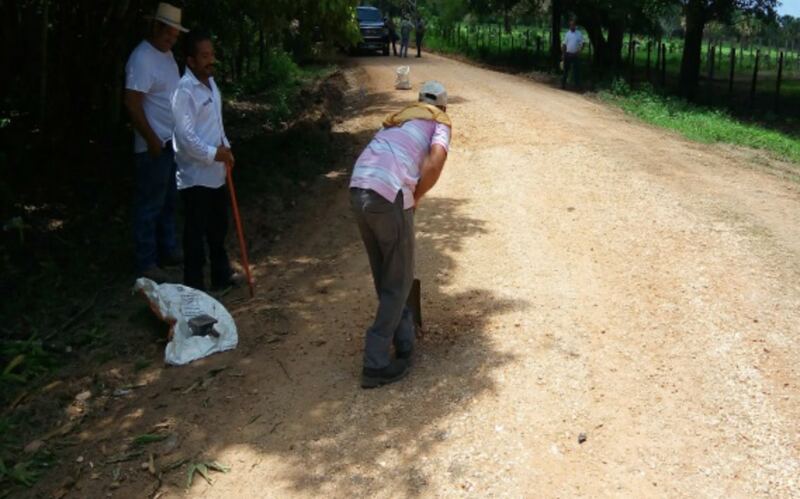 A durable surface such as road metal or broken stones. 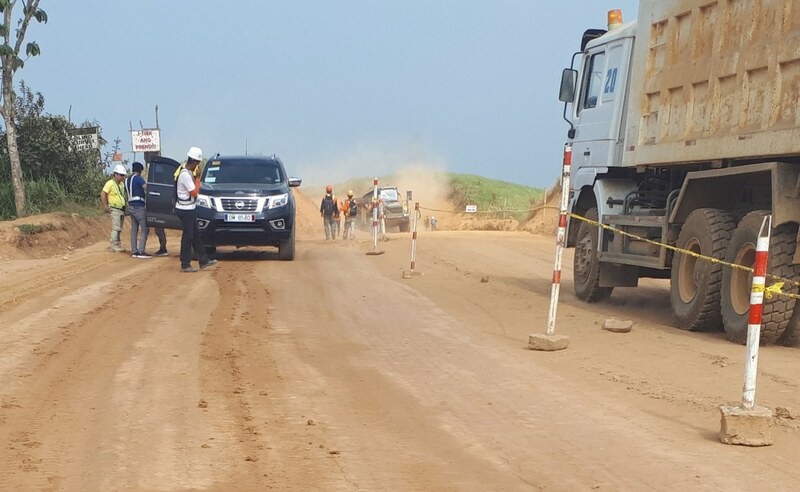 Therefore, if a road with a durable surface layer of only 5mm has to bear a much heavier density of traffic than initially foreseen, causing deterioration, then it is suggested that another layer of road metal be laid and RoadPacker Plus applied. Once rolled the road is immediately ready for use. 11. Is it possible to compact a road treated with RoadPacker Plus by hand? Yes, but the soil will not be compacted as sufficiently. The use of a roller or vibrating plate is recommended. 12. Is it possible to excavate by hand, soil treated with RoadPacker Plus in which sewerage pipes, etc. are located? Yes, but it will necessitate some effort. It is possible and the soil can be retreated with RoadPacker Plus and rolled when the excavation work is completed. 13. Does the dung of sheep or cattle influence a soil treated with RoadPacker Plus? 14. How does a soil treated with RoadPacker Plus obtain its compaction? 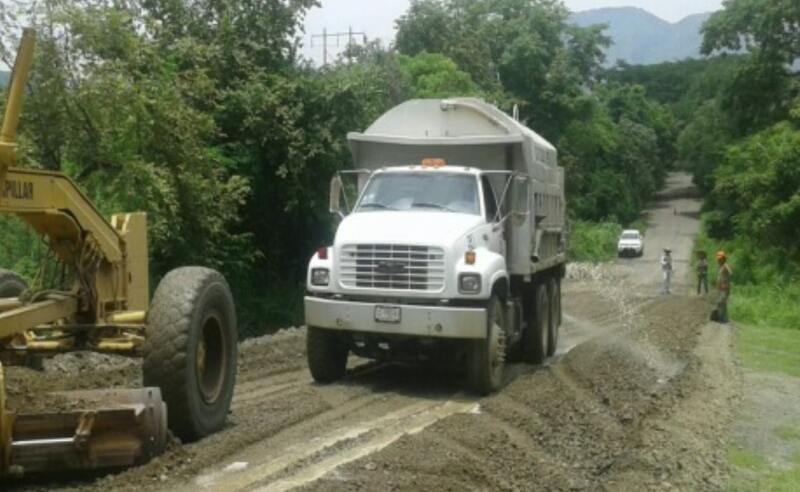 Compaction is obtained by mechanical means and the normal passage of traffic, since soil treated with RoadPacker Plus does not obtain its compaction automatically. 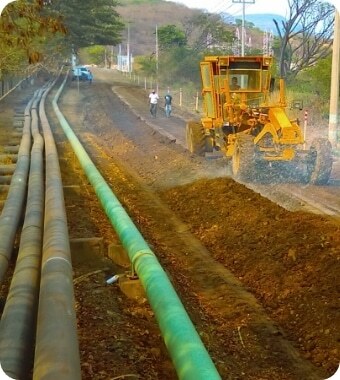 However, compaction continues to increase with the intensity of traffic and will not lessen and it is irreversible. 15. Can RoadPacker Plus be used on a sloping surface? Yes, it can be used effectively. A sloping surface treated with RoadPacker Plus can no longer be washed away as the colloids are decimated, thus eliminating erosion. 16. 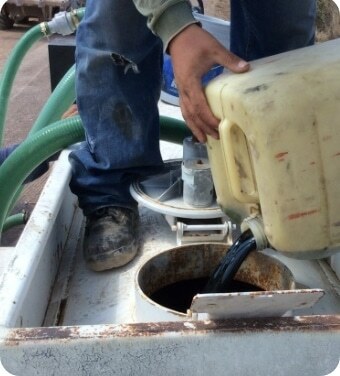 Why is loosening the soil so important before starting the treatment of RoadPacker Plus? It is imperative the liquid penetrates sufficiently into the soil providing optimum treatment to all the soil layers. 17. Why is it important to spray a light application of diluted RoadPacker Plus to the treated soil after RoadPacker Plus has been applied in very dry conditions? 18. What should be done when small troughs appear after rolling? During the rolling operation troughs or holes appearing on the rolled surface should be filled manually. 19. 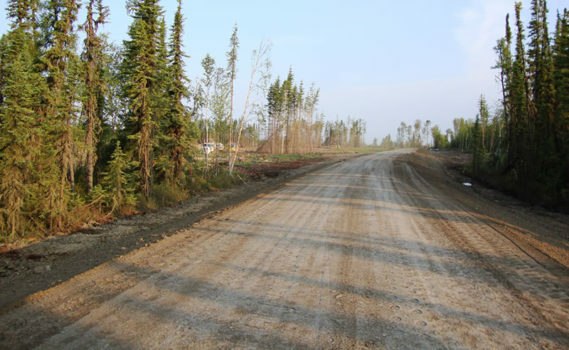 How does RoadPacker Plus react on forestry haulage roads that are permanently shaded and damp, also where there are considerable gradients and clay soils present? The fact is that neither frost nor rain is able to react on particles and cause deterioration. Also heavy clay is an ideal soil for treatment with this product See Section on Wet or Saturated Roads. 20. What happens to soils treated with RoadPacker Plus in the case of torrential rain? 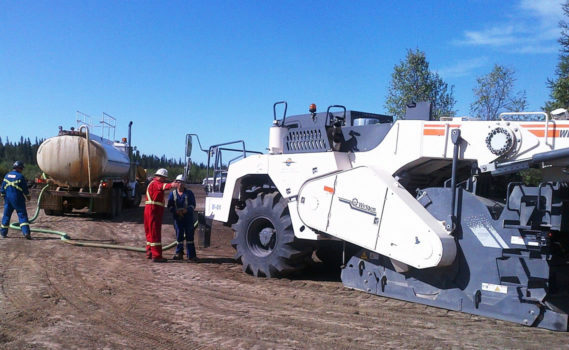 RoadPacker Plus ionizes colloids in the soil, and they can no longer absorb water. The electro-kinetic reaction, which sets in, is permanent and irreversible. The soil simply will not move once it has been compacted and damage cannot be caused by rain. 21. At what time is a road treated with RoadPacker Plus open to traffic? 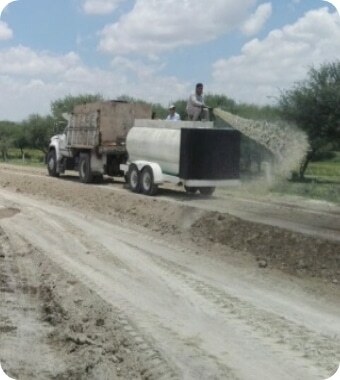 Immediately, if roads become slippery a fine layer of crusher dust should be applied and rolled in. 22. Is it possible to apply RoadPacker Plus during wet weather? Yes, this can be done, but as far as possible the soil to be treated should be allowed to dry as much as is reasonable so as to allow RoadPacker Plus to penetrate immediately through the pores of the soil. In the case of saturated soils it is advisable that the moisture content be within the manufacturers specification prior to application. Click on the links below to view and/or download relevant RoadPacker Group product information. To view PDF documents you will need the free Adobe Acrobat Reader.